I've already scanned once again through the worst films 2013 had to offer, but thankfully such negativity was short lived as I didn't see many rubbish ones throughout the year. And, to add to that thankfulness, I've seen plenty of great ones - so without further ado, let's begin my look at my five favourite films released in the past 12 months. Pixar's latest hit collected over $700 million at the worldwide box office, but it still lacked the widespread critical acclaim of their past efforts - it was well received of course, but some felt the film had little to offer other than comedy. While it definitely isn't as emotionally gripping as their other works, Monsters University has a heart and delivers a moral much more complex than most animated films these days. The chemistry between our leading characters develops nicely, and a whole host of new ones only adds to the fun. It's not a masterpiece, but it's still the Pixar we all know and love. Guillermo del Toro's sci-fi kaiju film did mediocre business in the United States, but managed to thrive overseas to generate a solid if disappointing worldwide gross of $407 million. The Japanese-esque concept evidently didn't get the traction Warner Bros. hoped it would, but the premise isn't as dumb as it may initially seem. It's far from genius, but perhaps that works to benefit the final product; a simple story is embraced perfectly, making for an epic film with a welcome sense of fun. It never goes down the dark and dreary route but it still manages to tell an entertaining story with likeable characters and some superb action sequences. 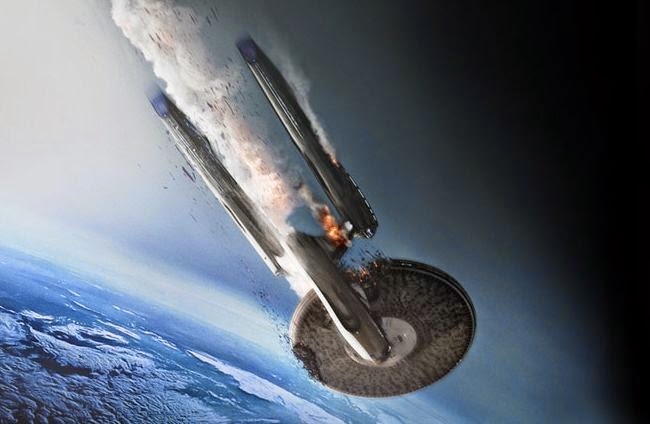 The first film in the rebooted Star Trek franchise enjoyed mild success in 2009, and so this much needed sequel was eventually pumped out four years later. Everyone worries about sequels and prequels, and while Star Trek Into Darkness is probably not as original or compelling as its predecessor, it still offers a thrilling and emotionally rewarding experience for fans and newcomers alike. The focus on character has been nicely improved; and newcomer Bennedict Cumberbatch brings a delightfully scary appeal to the film's badass villain. Even for those unfamiliar with the franchise, there's still a lot to love about this polished sequel. A surprise critical and commercial hit, Alfonso Cuaron's sci-fi thriller Gravity dominated the box office for many weekends when it hit cinemas in October. It has since become one of the most renowned films of the year thanks to the flawless performances and an absorbing narrative that does a lot with a relatively simple premise and setting. The special effects also provide a masterful and believable outlook on the beauty of outer space; captured perfectly through the exquisite cinematography. To see an original product like this thrive and enjoy success is very encouraging, as it deserves to be seen by any respectable fan of cinema. Though it hit US cinemas in 2012, Disney's Wreck-It Ralph didn't see a UK release until February 2013 - meaning I can cheat and add it to this list. Some of you may know I'm a sucker for Disney movies, and Wreck-It Ralph brought them and the world of gaming together like bread and butter. The clever references and joyful nostalgia aside, Wreck-It Ralph is a genuinely hilarious and touching adventure with a well structured story. A simplistic but valuable moral also lets it appeal to both youngsters and adults, and I can easily say that it's definitely one of Disney's finest works in their rich history, and my favourite film of the year by far. There you have it. This list is substantially different from the films I was most anticipating when the year began, showing yet again how cinema can be a surprising experience. Hopefully 2014 will continue the trend and have more great stuff to offer!